[Hong Kong, 30 November 2015] The Hong Kong Applied Science and Technology Research Institute (ASTRI) signed a Memorandum of Understanding (MoU) on 28 November with Beijing Institute of Collaborative Innovation (BICI) to establish FinTech Collaborative Innovation Centre, to develop research projects in the areas of financial technology, big data and mobile software platform. Under the MoU, both parties will strengthen collaborations in financial technology and setting up of joint research centres and institute of collaborative innovation, thereby facilitating the development of innovation and technology, as well as technology transfer. 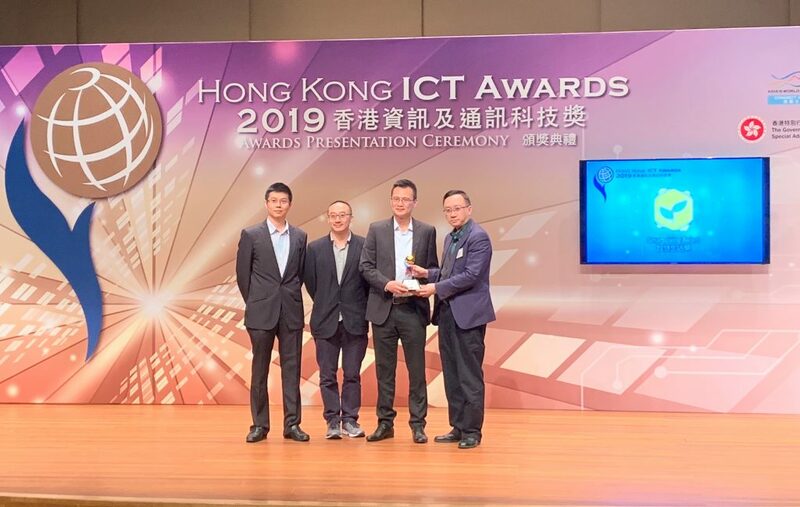 This will also help promote joint research and development, sharing of information and technologies, and exchange and nurturing talents between Hong Kong and Beijing. 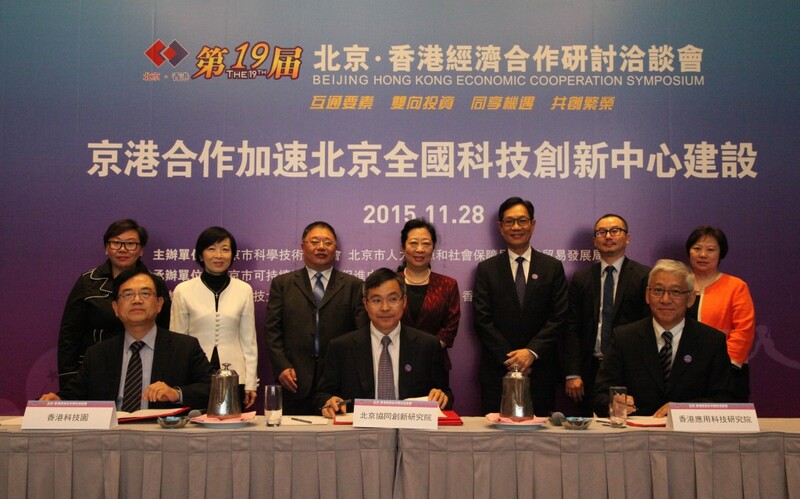 The MoU was signed by Dr. Frank Tong, Chief Executive Officer of ASTRI and Dr. Duoxiang Wang, Dean of BICI at the 19th Beijing – Hong Kong Economic Cooperation Symposium held at Hong Kong Convention and Exhibition Centre. Dr. Tong then briefed the attendees on the research and development of ASTRI. 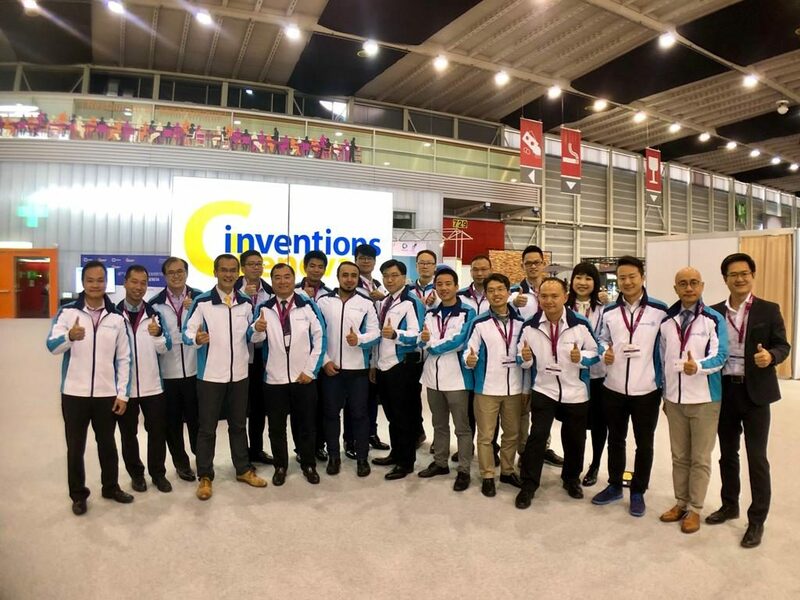 ASTRI has been closely working with different corporations and research institutions to develop strategic emerging industries. 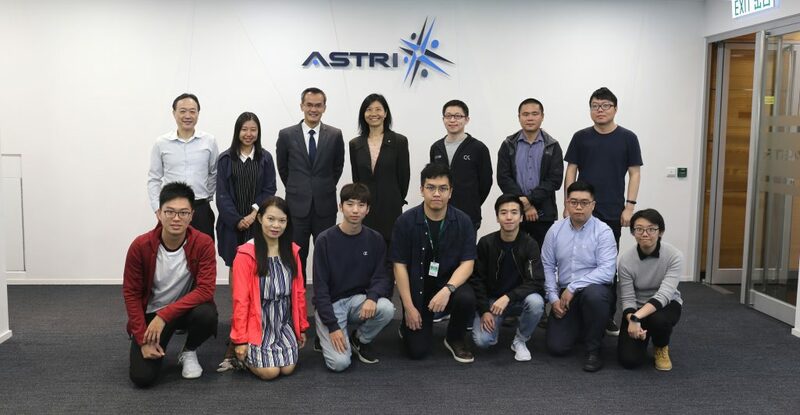 Dr. Frank Tong, Chief Executive Officer of ASTRI remarked that by signing the MoU with BICI, ASTRI can leverage its advantages on financial technology to strengthen the collaborations, and make substantial contributions to the economic, research and technologies developments in Hong Kong and the region. Dr. Frank Tong, Chief Executive Officer of ASTRI (1st row: 1st from the right) and Dr. Duoxiang Wang, Dean of BICI (middle in the first row) sign the collaborative MoU under a group of witnesses include: The Honourable Mrs. Fanny Law Fan Chiu-fun, GBS, JP, Member of the Executive Council of the HKSAR Government and Chairman of Board of Directors of the Hong Kong Science and Technology Parks Corporation (2nd row: 2nd from the left); Ms. Aoshuang Yan, Director of Beijing Municipal Science & Technology Commission (2nd row: 4th from the left); Mr. Ming-yam Wong, BBS, JP, Chairman of the Board of Directors of ASTRI (2nd row: 3rd from the right), and Ms. Cammy Yung, Chief Financial Officer of ASTRI and so forth. 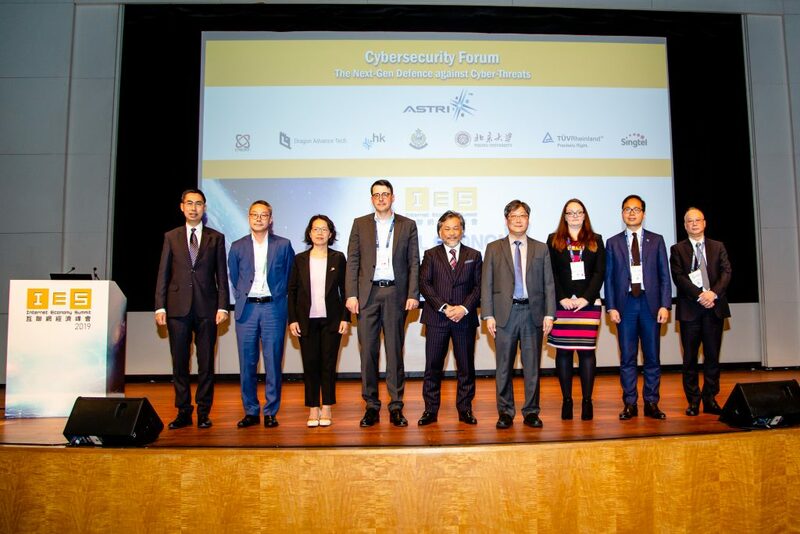 Mr. Ming-yam Wong, BBS, JP, Chairman of the Board of Directors of ASTRI (3rd from the left) and Dr. Frank Tong, Chief Executive Officer of ASTRI (3rd from the right) attend the 19th Beijing – Hong Kong Economic Cooperation Symposium. 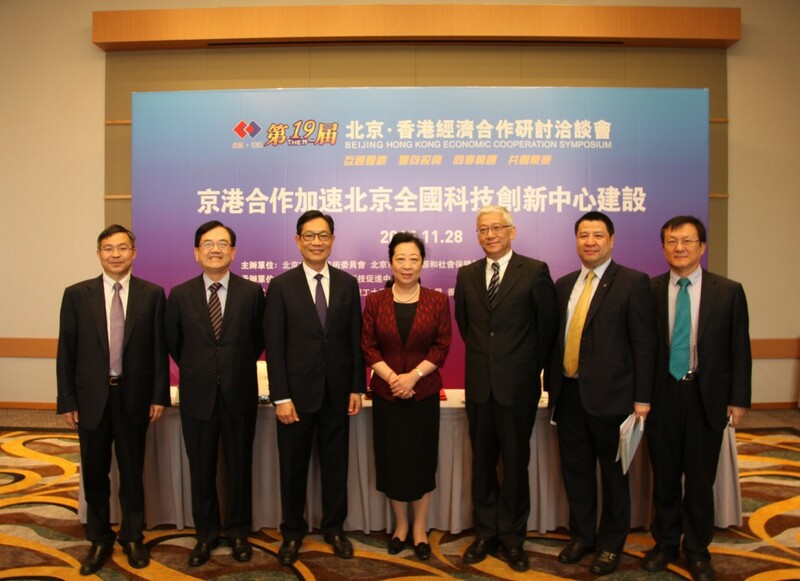 Attendees of the symposium include: Ms. Aoshuang Yan, Director of Beijing Municipal Science & Technology Commission (4th from the left); Dr. Shilong Zhu, Associate Director of Beijing Municipal Science & Technology Commission (1st from the right) and Dr. Duoxiang Wang, Dean of BICI (1st from the left) and so forth.